As the rainy season wanes in the Pacific Northwest, our water-focused student club at Oregon State University has decided to promote the UNICEF Tap Project. The Tap Project, which began in 2007, is held during World Water Week from March 21st to March 27th. The aim is bring awareness to and collect donations for water and sanitation challenges faced by children around the world. Nearly 4,100 children die each day from water-related illnesses. Through the Tap Project, restaurants collect one dollar for each glass of tap water usually served for free and provide these donations to UNICEF. Above Photo: Tap Project volunteer looking for participating restaurants. We spent a couple of days walking around encouraging restaurants and coffeehouses to get involved. Four restaurants and two coffeehouses have agreed to participate. This is the first year of the Tap Project in our area. Restaurants are a great venue to reach a diverse group of people. The campaign might present the opportunity for someone in the United States to think about a young child in Zambia (or Bangladesh, India, Sudan… ) and their lack of water and/or sanitation. And, with the UNICEF Tap Project, we are giving people the chance to help alleviate the suffering of children worldwide. If you want to engage your city in the Tap Project, visit the UNICEF Tap Project website at www.tapproject.org. Today is World Toilet Day. And – if you giggle at this funny-sounding name – you might not realize the vital importance of proper sanitation. Over 2.5 billion (about 40 percent of the world population) urinate and defecate outside. Open defecation, or OD as it is commonly known, spreads diseases and results in the poor health or DEATH of many people. Around 2 million children die each year from sanitation-related illnesses (more than HIV, tuberculosis, and malaria combined). But it’s difficult for numbers to tell the true story. During visits to villages in South India with Arghyam, some people told me their stories of OD. A story of how OD speeds the spread of diseases. A story of skin rashes, boils, and infections resulting after using the main OD area in a village (sometimes without shoes). A story of what it feels like walking down a trail covered in human feces during the rainy season to use the main OD area in a village. Here is a small snippet of an interview of my friend interpreting a woman’s description of an OD area (in an undisclosed village). The interview is graphic. Please listen at your own risk. Talk about it. One problem is that people do not want to discuss what they think is a dirty subject. The WTD website has some great ideas for spreading the word. Donate. Water Aid, a well-known water and sanitation NGO, has an option where you can buy a family a toilet online. Attend an event. Water Advocates is having a special event in Washington DC today, and there are other such events around the world. Check them out! 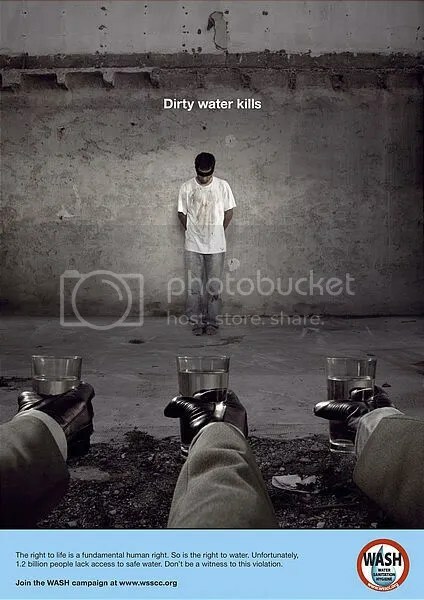 Don’t forget, it’s World Water Day. The first World Water Day was originally declared by the United Nations General Assembly on March 22, 1993. This annual designation is meant to focus international attention on global water problems and solutions. Each World Water Day is assigned a unique theme. The theme for today is “Shared Waters – Shared Opportunities” to recognize the importance of understanding transboundary surface water and ground water sources (waters that span two or more political boundaries). There are at least 263 transboundary rivers basins (surface water) and 273 transboundary aquifers (ground water) in the world. Over 40 percent of all people on the planet live in international river basins. In honor of World Water Day, I’ve watched the video called River of War, River of Life: The Fate of the Nile by Luciana Capretti on the World Water Day website. This short film describes water problems encountered by the ten countries that lie within the Nile River Basin from the headwaters to the delta. Problems in the basin include dam construction, rapid development, political conflicts regarding water sources, dropping water levels, diminishing aquatic species, and watershed deforestation. Much of the film focuses on Uganda’s efforts at curtailing these problems with policy solutions. Yet, all of the countries in the Nile River Basin seem to poised to draft an accord for the fair use of the waters of the Nile under the Nile Basin Initiative. Overall the film was a bit Western-centric in view, but with astonishing imagery and important information nonetheless. Author’s Postscript: Daniel Collins, author of the water blog Cr!key Creek, has compiled all water blog posts that focus on transboundary water and World Water Day. Be sure to check out his website to read other interesting posts on similar topics. A village in Ecuador was recently recognized on World Water Day 2008 for an innovative yet simple approach to water treatment using aquatic lentil and water lettuce. The people of San Rafael de la Laguna, an indigenous community of 4,700, constructed a water treatment facility along the edge of Lake Imbakucha to offset polluted discharge from local tourist facilities and agricultural practices. The water treatment facility removes up to 90% of the contamination, and the clean water is then used for irrigation of reeds. Local artisans create furniture, crafts, and paper from the reeds, and sell the products through the Totora Sisa Cooperative. 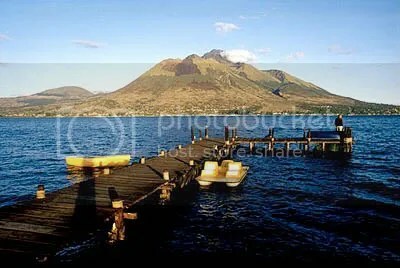 Photo above is Lake San Pablo (Imbakucha) in Ecuador. ‘A mother in Delhi, India, helps her son drink from a public tanker on World Water Day 2007’, photo on BBC News. Events happening across the globe draw international attention to a lack of available and clean drinking water supplies on World Water Day, whether celebrating March 20th (as so noted in this post on Water Wired) or on the typical March 22nd. According to the United Nations, this year’s World Water Day theme will emphasize ‘Sanitation’ to coincide with the designated International Year of Sanitation. Confusion about the date of the event this year (to account for a religious holiday on the weekend) certainly has not hindered many from observing the need to focus on global water issues. Global Water Challengeand Ashoka’s Changemakers invite people to submit entries for the competition to solve the global water crisis: “Tapping Local Innovation: Unclogging the Water and Sanitation Crisis“. One million dollars in funding is available to help implement these projects, and entries are due by March 26, 2008. Shekhar Kapur launches a blog on Changemakers.net inspired by his latest film, ‘Paani’ (Water), which will examine the daily struggle for water in the slums of Mumbai. The Our World – Our Water group on Flickr is launched to encourage those from around the world to share photos and stories about water. WaterPartners Village — a virtual exploration of the water crisis — will launch across social networking sites like Second Life on World Water Day. A virtual concert, with proceeds to support global water organizations, will start at 5:00 pm (PDT) on March 22, 2008 at the WaterPartners Village stage. Worldwaterday.net is organizing events across the United States that observe World Water Day including organized walks to raise money for the global water crisis. Gramalaya in association with WaterPartners International and WaterAid – UK is organising World Water Day 2008 in Tamil Nadu, India. The event will be attended by more than 20,000 women from 430 villages and 186 slums in Tiruchi City will be participating. The event will be telecast at Suryan FM 93.5. WorldWaterDay.org features events happening across the globe and on the Internet. The above poster is part of an outreach campaign by the Water Supply and Sanitation Collaborative Council.